Good marketing should be measurable. Which of your videos are being watched most often? When are they being viewed? How long are people watching them for? Our Content Delivery Network gives you access to an online dashboard where you can get the answers to all of these questions, giving you a clear picture of how your video assets are performing. 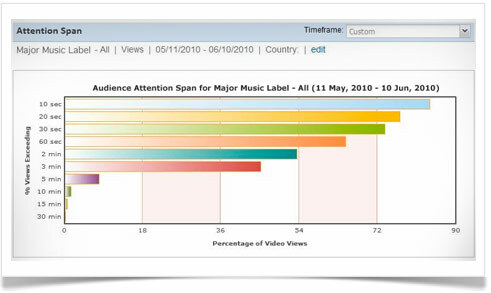 Normal web analytic tools (eg: google analytics or webtrends) can’t ‘see’ into flash media and deliver these details. Get in touch to chat more about video measurement and how it works.